Our thoughts and prayers go out to the James Moore family at this time. We thank them for thinking of our children and supporting our mission during their time of loss by suggesting donations to the Noyes Home for Children. 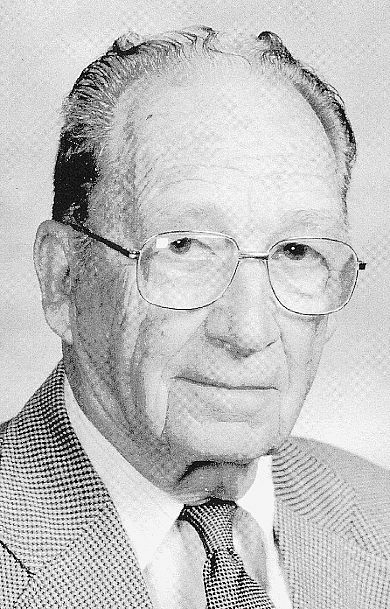 James E. Moore Jr., 99, St. Joseph, passed away Thursday, January 3, 2019, at his home. He was born August 20, 1919, to James Elmer Moore Sr. and Carolina (Rother) Moore, in Craig, Missouri, where he grew up. James married Mary Slapczynski on July 18, 1942, in Leavenworth, Kansas. She preceded him in death on November 24, 1991. Mr. Moore served with distinction in the United States Army from 1942 to 1946 with Company G 320th Infantry during WWII and received two Purple Hearts of Valor. 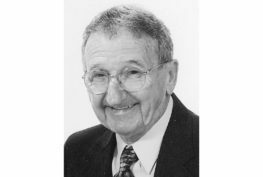 On returning from his service, he resumed working for Lehr Construction and worked for the company for 61 years. He had been active in the Lions Club, Meals on Wheels and the Friday Morning Breakfast Club. He married Jackie Barnett Buckminster on June 27, 2003. She survives of the home. 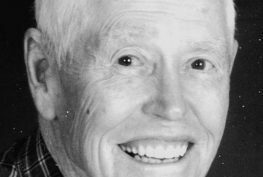 Mr. Moore was a good husband, father, and grandfather, as well as a dedicated worker, skilled craftsman, and loyal friend, who enjoyed the outdoors, gardening, woodworking and bird watching. He will be greatly missed and remembered for his lifetime of caring for others. He was preceded in death by: his parents; first wife, Mary; sisters, Marie Hines and Dorothy Mae Bridges. Additional survivors include: son, Stanley Moore (Deborah), St. Joseph; four grandchildren, Wendy Taylor (Jeff), Joliet, Illinois, Dr. Bradley Moore (Erica), St. Joseph, Brett Moore (Brittany), Kansas City, Missouri, and Alexandra Moore, St. Joseph; eight great-grandchildren, Addison Taylor, Kallista Taylor, Augustin, Jude, Genevieve, Bronx, Brody and baby girl Moore; step-children, Anthony Barnett (Kathy) and family, Jeff Barnett (Jeryl) and family, Leesa Klingenberg (Edward) and son. 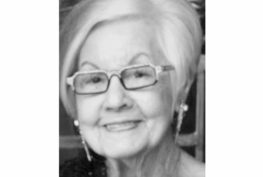 Farewell Services: 1 p.m. Wednesday, Meierhoffer Funeral Home & Crematory. 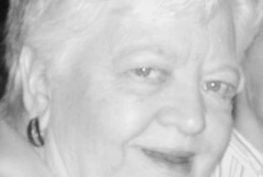 The family will gather with friends 5 to 7 p.m. Tuesday, Meierhoffer Funeral Home & Crematory. The family requests donations to the Noyes Home for Children, Open Door Food Kitchen and the Salvation Army.